As far as federal legislation goes, the Higher Education Opportunity Act of 2008, which weighs in at a mere 432 pages, is relatively light. But that doesn’t mean that a lot of people are familiar with it — or with its contents — and that can represent a substantial missed opportunity. “When you put federal legislation in front of someone, it always seems, well… punitive,” suggests Paul Stevenson, who manages the Barnes & Noble at LSU Bookstore. And that is why he and Margot Carroll, Louisiana State University’s Executive Director, Auxiliary Services, decided to draft a communication to the faculty at LSU. What happened next was remarkable. For some time, Stevenson had been frustrated by the submission of textbook adoptions at the store, which typically averaged around 85 percent. Carroll, at her previous position at the University of Delaware, learned of the significance of HEOA as a cost-savings opportunity for students (the law requires schools to provide the list of assigned textbooks for each course, including ISBNs and prices, during registration), and was eager to help, with one proviso. “We wanted to make sure this initiative was really an effort on behalf of the university for all classes at LSU,” she points out. 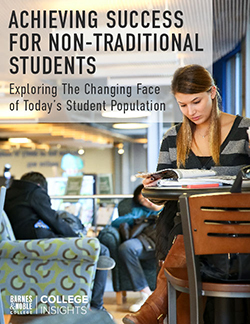 “The bookstore has been a long-standing partner on campus, so it made sense for it to be the contact point for all of the titles to be available in one central place, but it was also important to ensure this wasn’t just perceived as a sales drive,” she adds. 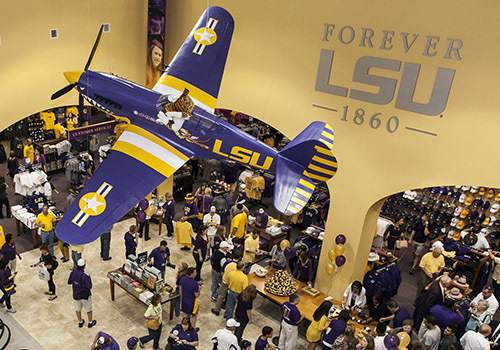 An interior view of the Barnes & Noble at LSU Bookstore, located on the campus of Louisiana State University in Baton Rouge. 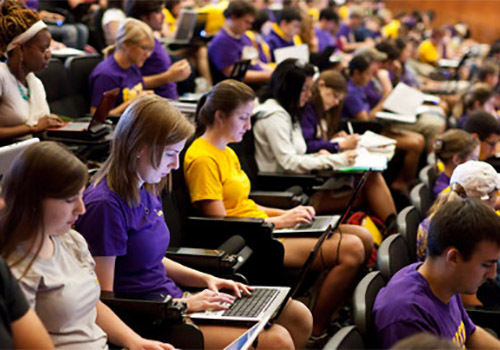 Carroll and Stevenson scripted a letter defining the significance of HEOA for the LSU campus; what it meant to the university in potential funding, and what it meant for student affordability, just two weeks before the spring semester of 2014. Within two days of the letter’s dispatch, the bookstore received a deluge of adoptions, and within two weeks, textbook adoptions had climbed to 100 percent. Today, three semesters later, the increase in adoptions has led to hundreds of thousands of dollars in savings for LSU students, realized through a large number of adoptions that included the textbook rental option. Now, books are on the shelf well in advance of the beginning of each semester, ready for students without the last-minute panic of Rush. And while the letter organized by Carroll and Stevenson produced an immediate and definitive result, HEOA is just one small piece of the faculty communication process at LSU. “We have textbook coordinator luncheons, faculty advisory meetings — a lot of outreach,” Stevenson explains. 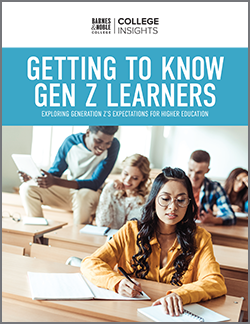 The Provost’s Office also receives copies of the ‘courses with no books report,’ which provides a subject-by-subject breakdown of those departments that have yet to submit textbook orders.